Some seniors grow tired of driving, while others have physical limitations that prevent them from getting behind the steering wheel. Regardless of the reasons older adults can no longer drive, it’s important for them to get out of the home to enjoy the fresh air or run necessary errands. Here are some alternative forms of transportation for seniors who are no longer able to drive safely. Public transportation services include buses, trains, and other fixed route transportation providers. 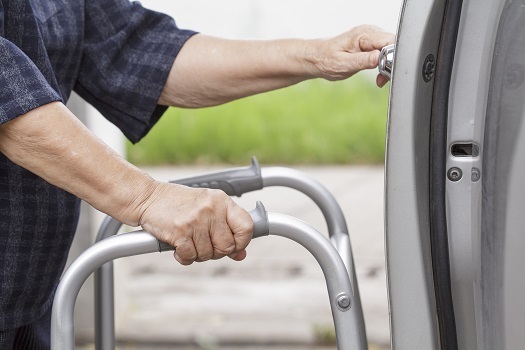 Family caregivers can contact senior centers, elder organizations, and government departments to get a list of transportation resources within their community and find out if there are any free or discounted services available to older adults. Older adults who need transportation to medical appointments or assistance with daily tasks can benefit from professional in-home care. If you’re the primary caregiver for a senior family member and are looking for professional home care, Portland Home Care Assistance should be your top choice. Our dedicated and compassionate caregivers are committed to helping older adults manage their health and enjoy a higher quality of life in the golden years. By hiring transportation services, your parent can still run errands, attend appointments, and visit with friends or family members without driving. Many home care agencies offer transportation services, which involve professional caregivers driving seniors to and from various destinations. In addition to incidental transportation, these agencies also have caregiving services that include schedule and planning assistance. For example, a professional caregiver could help your loved one schedule and attend medical appointments. Portland elder care experts are available to provide high-quality care to seniors on an as-needed basis. From assistance with mobility and exercise to providing transportation to the doctor’s office and social events, there are a variety of ways professional caregivers can help your aging loved one continue to live independently. You can teach your loved one to use apps that provide transportation services to non-drivers. Make sure to go over safety tips, such as researching reviews of the transportation agencies, as well as advice about using credit cards and other options to pay for the services. There are a variety of reputable transportation apps that offer short or long-distance driving services, based on your loved one’s needs. Some apps cater to the needs of the elderly, such as assistance getting in and out of the car, monitored rides, text messaging and email correspondences to family caregivers, and accommodations for wheelchairs and other mobility devices. Family caregivers can enlist the assistance of others to make sure their loved one’s daily activities and tasks are completed without any issues. Carpooling with family members and friends is a good idea. Your family can determine who will dedicate a few hours each week to transporting your loved one to social events, trips to the grocery store, or to handle various errands. You should have a backup plan in place in case a family member or friend is unable to cover their transportation shift. In addition to transporting your parent, family members and friends can provide companionship. Aging in place can present a few unique challenges for older adults. Some only require part-time assistance with exercise or meal preparation, while others are living with serious illnesses and benefit more significantly from receiving live-in care. Portland, Maine, Home Care Assistance are leaders in the elderly in-home care industry for good reason. We tailor our care plans based on each senior’s individual needs, our caregivers continue to receive updated training in senior care as new developments arise, and we also offer comprehensive care for seniors with Alzheimer’s, dementia, and Parkinson’s. Call us at (207) 835-4849 to schedule a free in-home consultation.